The Bastei is a rock formation in Germany. It’s located between the towns of Rathen and Wehlen. It consists of a number of rock columns, surrounded by forest. In 1851 a stone bridge was built between some of the columns. Before that, visitors had to walk across wooden bridges hanging from the columns. From the formation you can enjoy a spectaculair view of the river Elbe. When we visited the weather was rainy and misty, which was a shame. 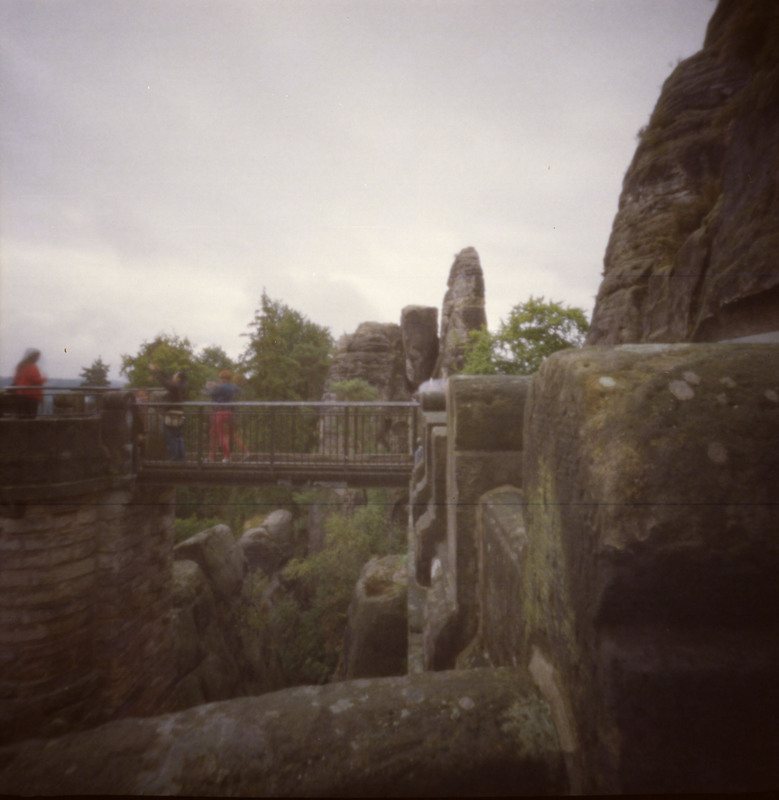 The bridge leads to the Felsenburg Neurathen, a desolate rock formation on which Bohemian knights built a castle in the 14th century. The ruins of the castle can be visited, but not if you have a fear of heights (like I do). 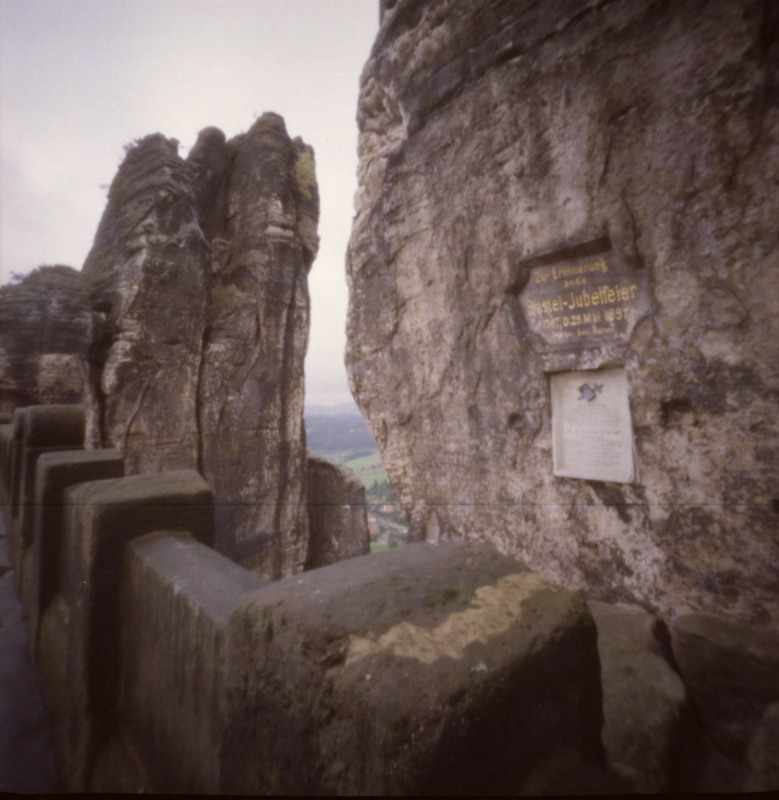 The Bastei has been an inspiration for Romantic painters such as Caspar David Friedrich. He painted “Wanderer above the Sea of Fog” based on the Bastei rocks. I looks beautiful there! I want to go!